The post Nine Major Banks Partner on Block Chain Initiative appeared first on CCN: Financial Bitcoin & Cryptocurrency News. Want to get caught up real quick on the history of hacking? This article on the 10 most notorious hacking groups of all time will help you. Don't forget to check out our article on the 10 most notorious hackers of all time. The post 10 Most Notorious Hacking Groups of All Time appeared first on CCN: Financial Bitcoin & Cryptocurrency News. Researchers have discovered significant, clandestine cyber attacks in countries across three continents where more than a dozen compromised Cisco routers have been found operating in the wild. The post Attackers Infect Cisco Routers with "SYNful Knock" Backdoor to Steal Data appeared first on CCN: Financial Bitcoin & Cryptocurrency News. Check out this art technology installation that creates music using live bitcoin market data. The post Bitcoin Price Walking The Plank appeared first on CCN: Financial Bitcoin & Cryptocurrency News. Top banks including Barclays, Citi, Santander, and UBS have all expressed interest in the blockchain but this is the first time the banks have worked together on a project. Rutter says he began approaching banks around 15 months ago after visiting around 30 blockchain and bitcoin companies he was considering investing in. He says: "The lightbulb went off that distributed ledger technology could be to finance what the internet was to media." Rutter says R3 has drawn up a "wish list" of what its banking partners want to use blockchain technology for, which covers "everything from issuance, to clearing and settlement and smart contracts, where the code is the contract and it saves on back office costs." Barclays' Derek White recently told Business Insider that the bank has identified 45 potential uses for blockchain technology, while Santander told Business insider it is looking at 25 uses. He says: "I think broadly speaking we'll be able to demonstrate within 1 to 2 years that the technology is fit for purpose. How long it will take to roll that out and integrate into existing systems is not something I know enough about to comment on. "Our goal is to have some real examples of how this could work within the next year — so really fast." As part of the partnership, banks are investing in R3. Rutter said: "I can’t reveal that but it’s been reported that it’s several million. From my prospective of having the banks involved, the human element is more valuable." Ledger, the first ever peer-reviewed academic journal devoted to cryptocurrencies such as a bitcoin, launched today. PARIS (Reuters) - Apple Inc's move to make ad-blocking software available on the iPhone is a double-barrelled effort to boost the health of the so-called app economy, while undermining arch rival Google Inc , which dominates the $120 billion online advertising market. 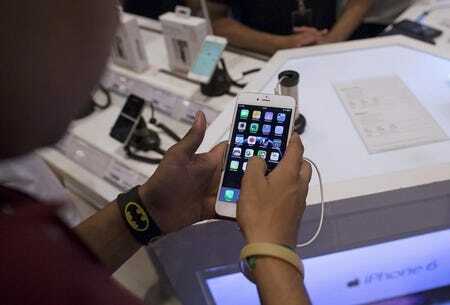 The new version of the iPhone operating system, to be released Wednesday, will for the first time allow customers to download third-party software that strips out marketing messages such as banner and video ads when people surf the web via the Safari browser. A slew of ad-blocking apps for iPhones are expected to launch this week. But Apple's new approach will not affect advertising inside applications such as Facebook , casual games like those from Supercell or King , or even Apple's own apps. Some 200 million people used ad blockers last year, up 40 percent from a year earlier, resulting in $22 billion in lost advertising revenue, according to a study by Adobe and PageFair, an anti ad-blocking tech company. Although only about 5 percent of Internet users globally use the tools, they are especially popular in Europe. In Germany and Poland, for instance, the figure is above 30 percent. Broad adoption of ad-blocking would bring a new set of headaches for online publishers, many of whom are already struggling with plummeting ad prices. In a nod to publishers' concerns, Apple will also on Wednesday launch a new app, called News, which will allow media companies to bypass blockers to serve their own ads or let Apple sell ads and share the revenue. Google, too, could take a hit from Apple's making ad-blocking mainstream, if its own search advertising, as well as the banner ads it manages for publishers through its DoubleClick unit, were regularly blocked by a significant portion of web surfers. Apple has not publicly explained why it decided to allow ad blockers on its mobile phones, but Chief Executive Tim Cook gave a hint in June when he criticized internet companies for violating people's privacy to boost ad revenue. "They're gobbling up everything they can learn about you and trying to monetize it," Cook said in a speech. "We think that's wrong. And it's not the kind of company that Apple wants to be." "Ultimately Apple wants there to be a better consumer experience on mobile and lots of ads on smartphones are really intrusive," said Danielle Levitas of research firm App Annie. "And there is an added benefit that this move will hurt their competitors more than them." Media companies are groping for answers, sparking an arms race between ad-blocking companies and anti-ad blocking companies such as PageFair and Sourcepoint that try to disarm the systems for website owners. Some like U.S. broadcaster NBC will not allow people using ad blockers to watch videos on their sites, while newspapers the Guardian and the Washington Post are prodding people using ad blockers to sign up for subscriptions. Apple's new policy could also force publishers who don't already have them to develop dedicated iPhone apps, rather than relying on mobile-friendly websites. German broadcasters ProSieben and RTL and newspaper publisher Axel Springer have filed lawsuits against Eyeo, the German company that makes Adblock Plus, the most popular adblocker for desktops. They have lost two early court cases, although appeals are pending. Apple's move will open a new front in the fight. Eyeo put its free iOS and Android apps on the market last Tuesday, and others include 1Blocker, Blockr and Crystal. A spokesman for ProSieben declined comment on Apple's move but said the TV company was "looking into several technical alternatives to bypass AdBlocker software." "Since Apple controls what appears in the App Store, it could try to push developers to clean up the ad formats, to make them lighter or smaller," Carthy said. "But Apple will not cripple ads in apps - they have an interest in maintaining the ecosystem where the bread and butter is monetization via third-party ad platforms." Société Générale's group legal director has called out for the establishment of an international bitcoin regulatory framework. The post Bitcoin Must Be About the Mission Rather than the Money, Says MIT Media Lab Founder Nicholas Negroponte at Scaling Bitcoin appeared first on Bitcoin Magazine. The post $1.87 Billion Credit Default Swaps Settlement Strengthens Need For Block Chain Transparency appeared first on CCN: Financial Bitcoin & Cryptocurrency News. Chinese bitcoin exchange BTCChina has a new name: BTCC. “None of our products are dependent on bitcoin as a cryptocurrency,” Blythe Masters, CEO of Digital Asset Holdings, told Business Insider. “We build solutions on top of any distributed ledger whether it's the Bitcoin blockchain or a private network." Even this early into blockchain’s introduction to Wall Street, budding industry experts are bullish on the technology’s potential. 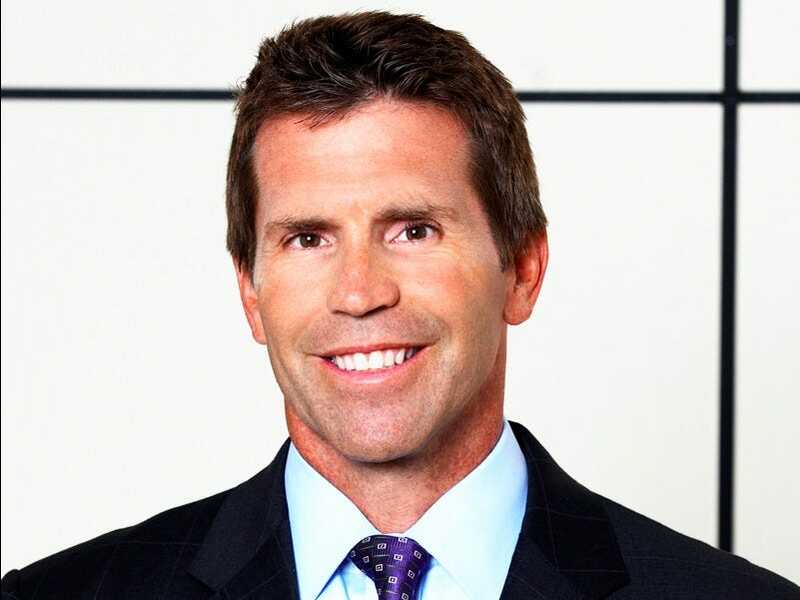 "The upside is enormous,” Nasdaq’s Peterson told event attendees during the discussion. DETROIT - (Reuters) - Negotiators for the United Auto Workers and Fiat Chrysler Automobiles continued bargaining on Tuesday over wages and benefits for about 40,000 U.S. workers as the union delayed calling for strikes at the company's most profitable operations. The two sides said they agreed early Tuesday to extend their old contract, which expired at 12:01 a.m. EDT, "on an hour-by-hour basis." The UAW had still not called for walkouts as of 7:30 a.m. as workers started reporting for morning shifts in the U.S. Midwest. The decision to extend the contract indicates the two sides are making progress on complicated pay and benefit issues. Neither FCA nor the UAW issued comments on details of the talks Tuesday morning. At issue are proposals to overhaul a two-tier pay system the UAW wants eliminated and to restructure company health plans to curb rising costs, people familiar with the process said. 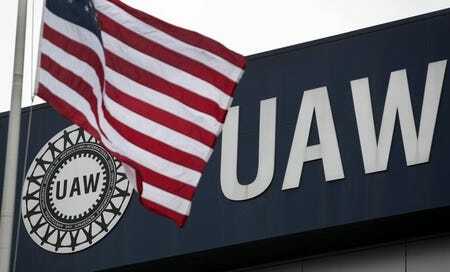 The UAW wants FCA to agree to raise wages for more senior workers, who make about $28 per hour, and to reduce or eliminate the disparity for more recently hires, whose hourly pay tops out at $19.28. 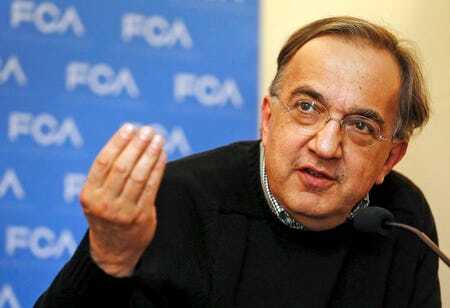 FCA Chief Executive Officer Sergio Marchionne has said he wants to eliminate the two-tier wage system, but he has suggested base wages be set lower than the current top tier. He wants to offer union workers more in the form of profit-sharing or bonuses when FCA's earnings are high. At FCA, about 45 percent of the hourly UAW workers earn lower-tier wages. The UAW has at least three options. It could call a companywide strike or stage limited walkouts that could cripple FCA's operations without forcing hefty payments to workers from union strike funds. It could also opt to continue extending the talks. The terms of any deal with Fiat Chrysler would set the pattern for subsequent labor agreements at General Motors Co and Ford Motor Co , the UAW has said. FCA's U.S. operations have had an $8-to-$10-an-hour labor cost advantage over Ford, where 28 percent of the UAW workers are in the lower-tier wage group, and GM, where 20 percent are in that tier. Ford and GM on Monday agreed with the UAW to extend their current contracts, the union and the companies said. 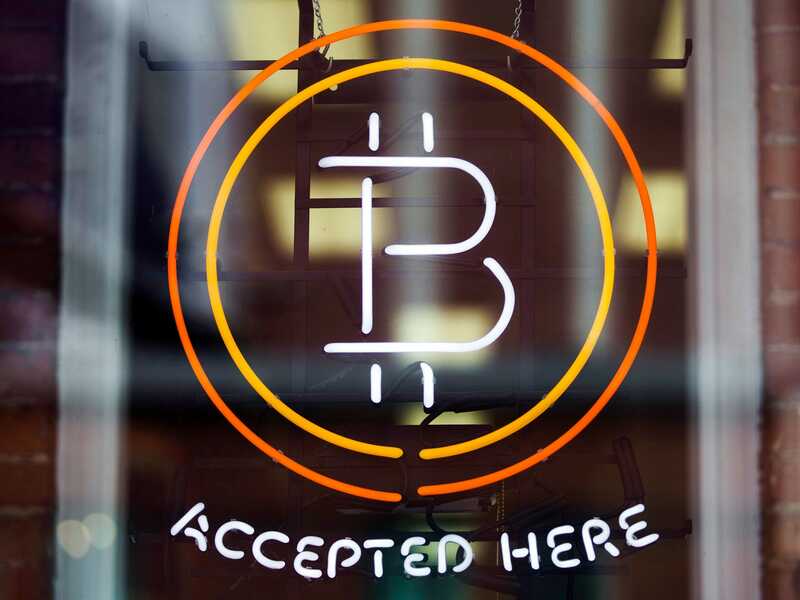 BNP Paribas Fortis has denied it is gearing up to enter the bitcoin space as a digital vault provider. The post Decentralized Dance Party Taps Bitcoin, Social Media, and Crowdfunding to Restore The Soul and Bring Peace appeared first on CCN: Financial Bitcoin & Cryptocurrency News. Bitcoin-based platform Bitnexo has joint-won the Latin American final of BBVA's Open Talent competition. BURAS, La./Ho Chi Minh City (Reuters) - Savun Sim looked dejected as a large plastic vacuum hose sucked 2,600 pounds of wild Gulf of Mexico shrimp from his trawler's ice hold. 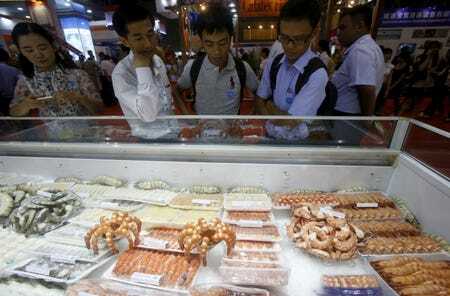 Tran Van Linh, chairman of Danang-based Thuan Phuoc Seafoods & Trading Corp, said he believes that under TPP, Vietnamese exporters could no longer buy shrimp from India to process and re-export. Vietnamese farmers would also have to develop more brood stock, now mostly imported, so that their shrimp is completely Vietnamese. DETROIT (Reuters) - Negotiators for Fiat Chrysler Automobiles and the United Auto Workers union continued bargaining Monday evening with hours to go before a 12:01 a.m. EDT (0401 GMT) Tuesday deadline after which the U.S. union could call for a strike. The United Auto Workers (UAW) has at least three options if the contract expires without a settlement. It could call a company wide strike, or stage limited walkouts that could cripple the company's operations without forcing hefty payments to workers from union strike funds. 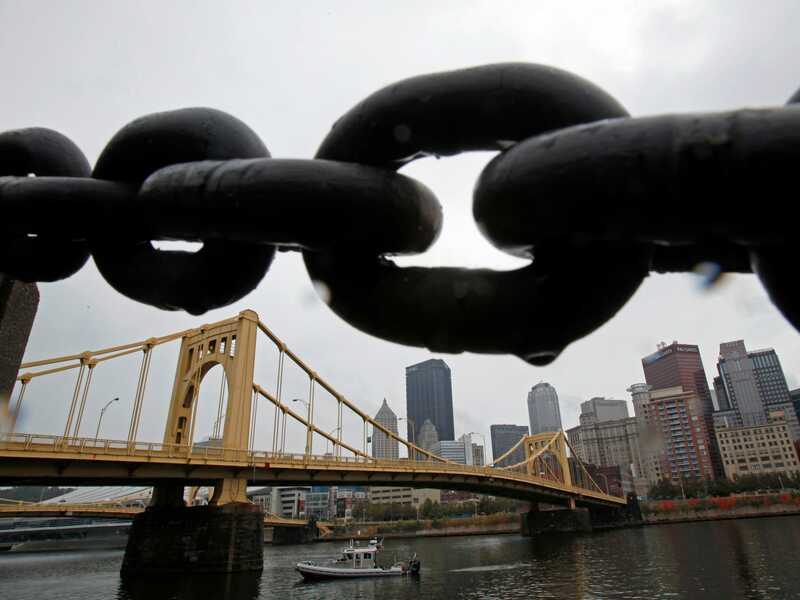 The union could also opt to extend the current contract and allow more time for a settlement. The terms of any Fiat Chrysler Automobiles (FCA) deal would be used to set the pattern for subsequent labor agreements at General Motors Co and Ford Motor Co , the UAW has said. Sergio Marchionne, chief executive officer of the Italian-American company, canceled a scheduled appearance at the Frankfurt auto show this week to try to seal a deal with the union and its president, Dennis Williams. Labor expert Arthur Schwartz said on Monday that FCA must offer a raise to veteran first-tier workers who have not seen one in a decade to get workers to ratify any tentative deal the negotiators produce. First-tier workers make about $28 per hour while the second tier tops out at about $19.28 per hour. Schwartz said FCA workers would not ratify a contract without a pay hike for more senior workers earning the top wage scale. Marchionne has said he wants to eliminate the two-tier wage system, but he has suggested he wants to set base wages lower than the current top tier, and offer union workers more in the form of profit sharing or bonuses when the company's profits are high. At FCA, about 45 percent of the company's UAW workers are recent hires earning lower-tier wages. That gives FCA's U.S. operations an $8 to $10 an hour labor cost advantage over Ford, where 28 percent of the UAW workers are in the lower-tier wage group, and GM, where 20 percent of workers are in the lower-wage tier. Ford said Monday the UAW agreed to extend the current contract. A GM spokesman said talks continued with the UAW and had not yet called for an extension.